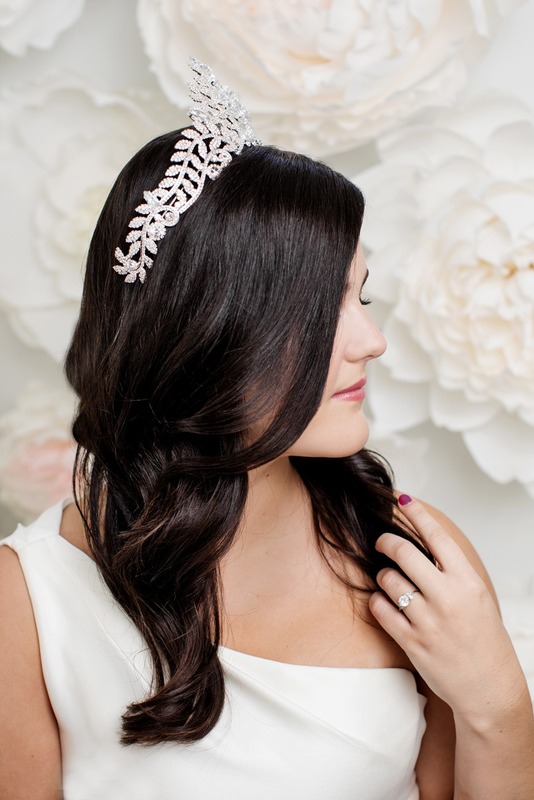 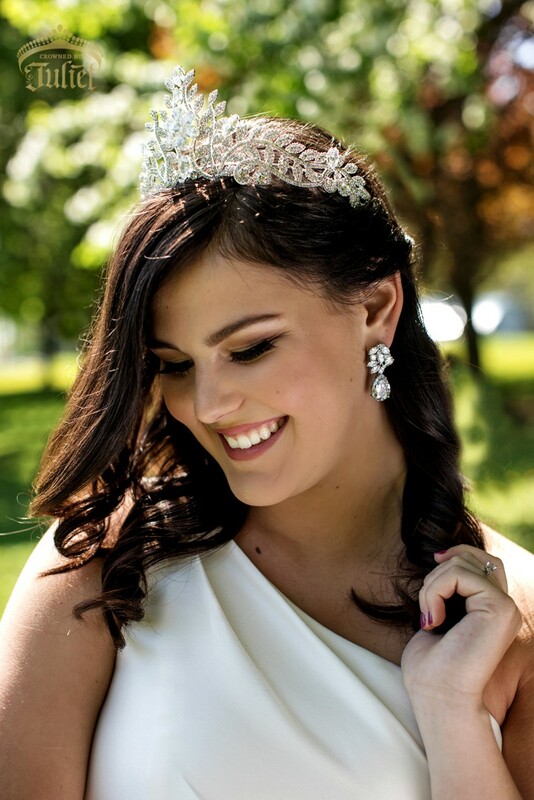 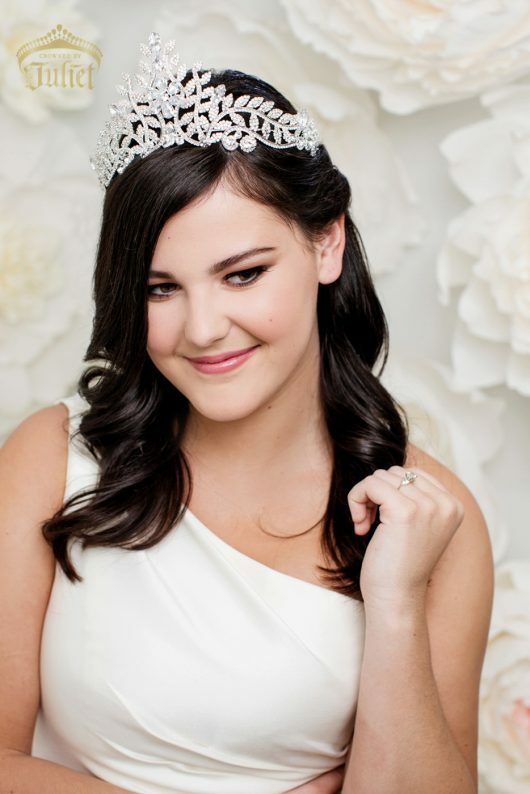 This beautiful ROSEDALE Tiara is the perfect combination of nature and sparkle. Carefully placed marquis-cut simulated diamonds cascade from the peak of this luxuriously feminine heirloom tiara. 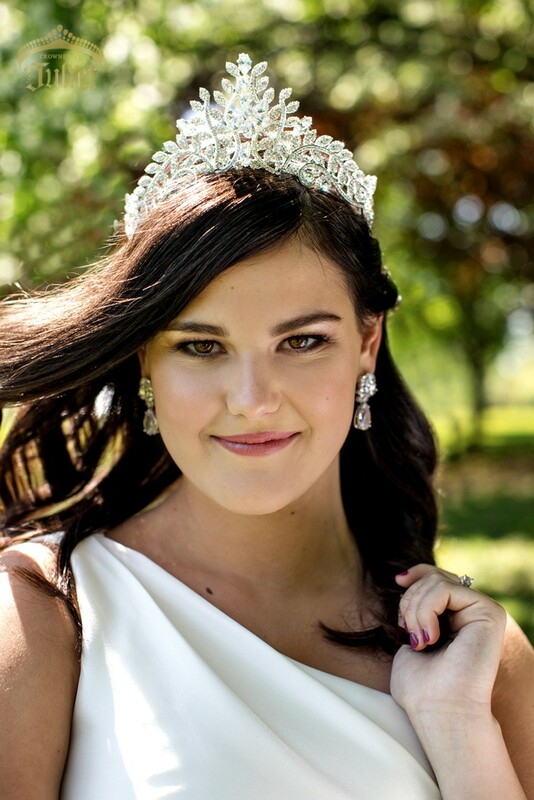 Each platinum-plated leaf on the ROSEDALE Tiara sparkles with inlaid brilliant-cut cubic zirconia diamonds. 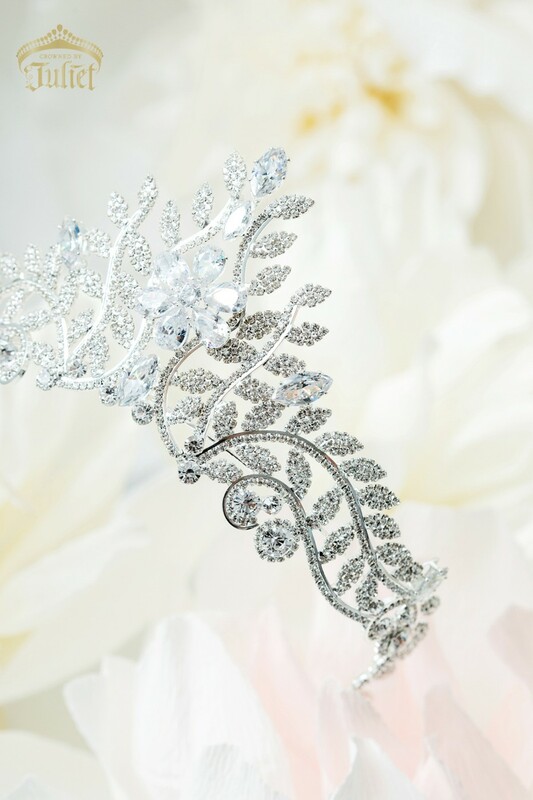 Surmounting this exquisite setting is a radiant wild rose, made from pendeloque-cut simulated diamonds. 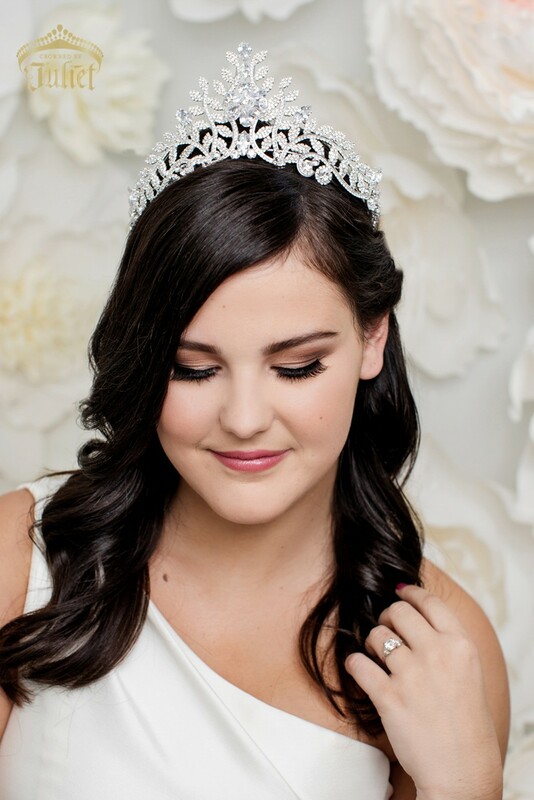 The quality of this tiara speaks to the perfection of the skill of the craftsmen who created them for Crowned by Juliet. 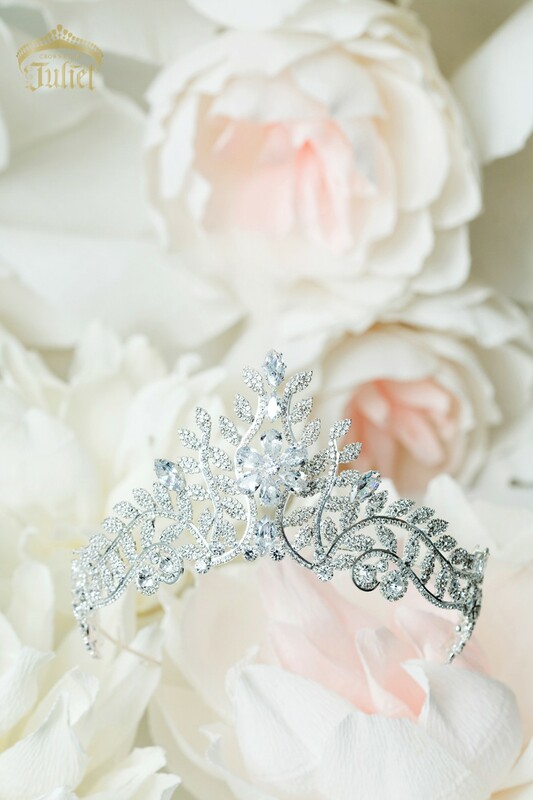 Weight: 143 grams / 5 oz. More brilliant than crystals, cubic zirconia diamonds are unparalleled in flawlessness and clarity, and are the closest simulated jewel to actual mined diamonds. Because of this, Crowned by Juliet’s best pieces have AAAA cubic zirconia diamonds as well as Austrian or Czech crystals. 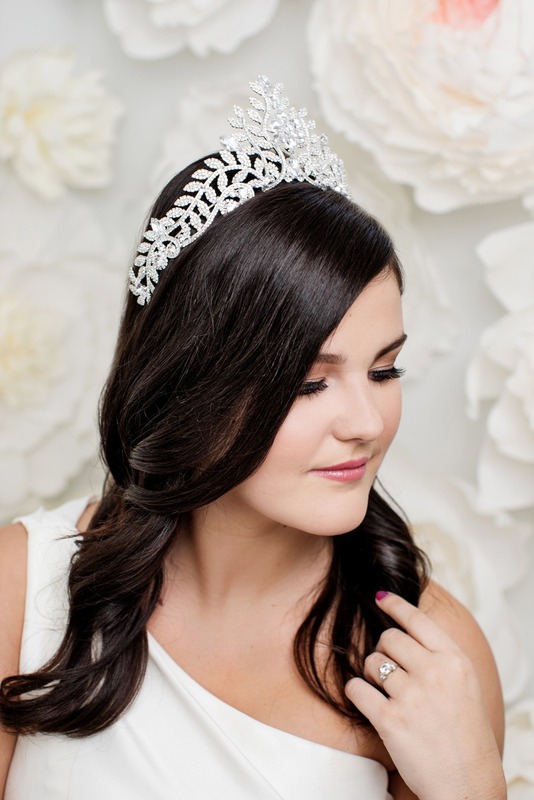 The Rosedale tiara is named after a very elegant and historic neighbourhood in downtown Toronto, Ontario.